I often find myself hankering for a few hours of quality time, without children, to spend with my girlfriends and enjoy a good old fashioned afternoon tea. I’ve often travelled further afield, however, since living in Newbury and getting better acquainted with the area, I find that we are awash with brilliant options for that all important tea and cake. You can sit is a five star hotel enjoying delicately crafted patisseries or head into town and relax in a cosy cafe. So enjoy a good catch up and still make it to the school gates. So ladies, here’s my guide to afternoon tea in and around Newbury! This unique cafe just south of Newbury on the Andover Road is worth making the trip to as they boast the most incredible cakes, especially on a Friday! 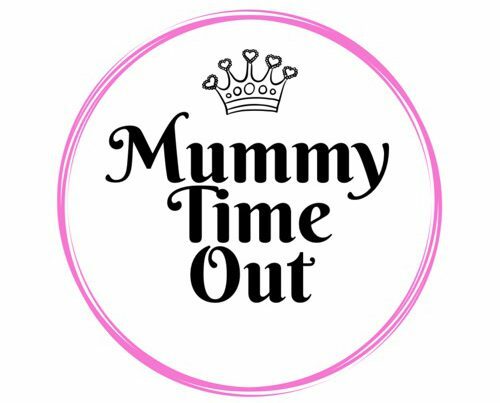 Popular with new mums and locals, it’s a fabulous little place to meet the girls and enjoy the cosy atmosphere. The Pineapple Cafe, Lower Way, Thatcham. A little off the beaten track, the lovely family-run Pineapple Cafe makes for a worthwhile visit, especially if combining with a trip to the Discovery Centre. You can sit outside by the river and relax with a scrumptious home-made cake and coffee then browse the adjoining art gallery and interiors shop. A brilliant option for a girlie birthday treat or just for a catch up! One of Newbury’s oldest establishments, Camp Hopson is a landmark in the town centre. Since it’s refurbishment last year, it now boasts a smart and tastefully decorated terrace tearoom on its top floor which is a great spot for a tea and cake. Grab a sofa and settle in for a good catch up, maybe even a prosecco? Afternoon Tea is served Sunday to Friday from 2pm until 5pm and Saturdays 1pm to 5pm. One of the area’s luxury hotels, come to Donnington Valley Hotel for their afternoon tea by the pool and splash out to enjoy their spa facilities. This is somewhere to go for a special occasion and to spend the afternoon chilling out. The menu offers a variety of options, with the the full afternoon tea being very generous. They even cater for those on gluten-free diets. If you find yourself in Newbury town centre and you want to take the children to a friendly and funky restaurant for a cream tea, then Bill’s fits the bill! They have high chairs and colouring books for the children, baby changing facilities and friendly staff so you will be very welcome here. It is incredibly spacious, so spread out be tempted by one of their cream teas on offer daily. The Honesty Group is becoming known for its fresh honest approach to food and operate in a number of locations across Hampshire and Berkshire, the newest being in the new Barrs Yard development in Hungerford. Unfortunately, they don’t offer the full afternoon cream tea, however, I have included them as their coffee shops have a lovely atmosphere and serve mouthwatering cakes. Take a time-out, grab a spot of lunch or a coffee and a piece of freshly baked cake and go home with one of their famous loaves of bread! If you are looking for the creme de la creme in afternoon teas, The Vineyard is the place to book. You can come for just the afternoon tea or splash out on a glass of champers and enjoy the spa facilities too. Expect precision, excellent service, beautifully created cakes and sandwiches in an opulent surrounding. This is a special treat, just don’t gasp at the bill, you have been warned! A lovely little cafe on the Kennet Canal by Newbury library, this is a relaxed place to enjoy a tea or spot of lunch. You can sit outside and watch the ducks (watch your children too!) or head inside on a rainy day for a cosy catch up. They offer a great selection of home-made cakes as well a delicious sandwiches washed down with a cup of tea. If you would like to mention other brilliant Afternoon Tea’s in the area, please comment below!